Kawasaki has not only catered to big bike lovers by revealing the supercharged Kawasaki Ninja H2 SX sports tourer and the Z900RS Cafe Racer at EICMA 2017. But it has also announced two new models with a smaller capacity in the form of the Kawasaki Ninja 125 and the Kawasaki Z125. 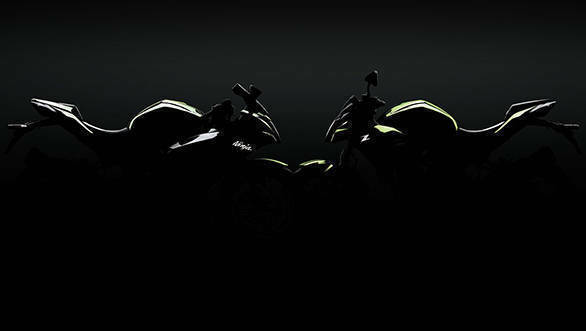 Kawasaki revealed a silhouette of the two upcoming motorcycles during their press conference at EICMA and stated that we will get to see the bikes make their debut by the end of 2018. Internationally, all the Japanese majors have been selling 125cc motorcycles, with the Suzuki GSX-R125 and GSX-S125 being the latest entrants. Before Kawasaki's announcement, it was the only Japanese manufacturer to not have a machine in this segment. The smallest road-going Kawasaki motorcycle in the Indian market is the Kawasaki Z250. Now, as to whether these pocket rockets make it to India remains to be seen. The 125cc machines are particularly targetted at the A1 licence holders in Europe, and no plans have been announced for the Kawasaki Ninja 125 and Z125 coming to India. Kawasaki Motorcycles president Kazuo Ota said that the new models, as well as others under development, share unique Kawasaki styling, engineering and riding qualities that only they can deliver. "Riding their first ever kilometres on a Kawasaki is a vision we have for people taking to two wheels now and in the future. Motorcycles that can either be the only machine that some riders will ever require or act as a stepping stone to a larger capacity Kawasaki  we are confident our plans address both needs," he said.